Purnima aka Poornima is a full moon day in the Hindu lunar calendar and it occurs in every Hindu month. It also marks the end of Hindu month in Purnimanta calendar system. Purnima is the symbol of fullness, abundance, and prosperity. 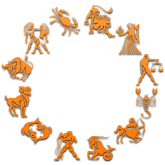 It is also known as Pournami, Pournima, Puranmasi depending upon the place and the moon phases. 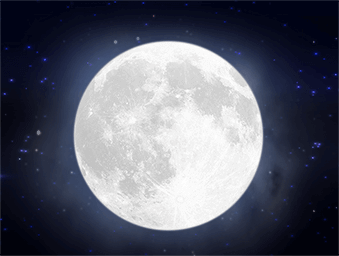 All the relevant information regarding the ‘full moon tonight’, ‘next full moon’, and ‘moon cycle’ is available on mPanchang. In Hindu calendar, every Purnima has some significance. Therefore, over the twelve months, Purnima marks twelve special occasions and festivals. On full moon day, bright and full moon shine in the sky denoting the removal of darkness. Special Pujas like Satyanarayan puja are conducted on this day. Many Gods were born on this day. Paush Purnima: Paush Purnima is a remarkable day in Hindu calendar. It is observed in the months of December-January in English calendar. On this occasion, at the Prayag Sangam (the confluence of Rivers Ganga, Yamuna, and Saraswati) Hindu devotees take a holy dip. It is believed that such an act relieves all the sins, and one will achieve ‘moksha’ or salvation. Maghi Purnima, also known by the name of Magha Purnima, is known to be a day of the full moon that occurs during the month of Magh. During this time period, the auspicious Kumbh Mela is held in every twelve years. Holi falls in the month of Phalguna that marks the arrival of spring. Widely known as the festival of colors, it is celebrated for two days. It is celebrated in most parts of India and Nepal. Holika Dahan takes place the night before Rangwali Holi. Hanuman Jayanti is celebrated on full moon day during Chaitra month. Hanuman, who is also known as Vanara God, was born on this day and Hanuman Jayanti is celebrated to honor the birth of Hanuman. It comes in the month of vaishakha and celebrated as birth anniversary of Gautama Buddha whose birth name was Siddhartha Gautama. He was a spiritual teacher who established Buddhism. It is celebrated all over India and even in some South-East Asian countries including Nepal. It is one of the highly auspicious Hindu tithis that is also known as Jyeshtha Purnima. It is observed on the full moon day of Jyeshtha month. The vrat is mainly observed by married women for the longevity and prosperity of their husbands and they pray for a happy married life. It is dedicated to Guru, is celebrated on the Purnima. Rath Yatra is held on month of Ashadha every year. Raksha Bandhan is celebrated in Shravana month. Rakhi is basically a sacred thread of protection dress up with love and affection of a sister for her brother. This is also known as Honey Full Moon Day, celebrated in Bangladesh, especially in the region of Chittagong and by the Mon People of Thailand. In Hindu calendar, it is celebrated during the month of Bhadrapada. On this day the devotees are supposed to wake up early in the morning and take a bath before sunrise. Lord Shiva or Lord Vishnu are worshiped on this day. Many devotees observe fasting on this day. Though it is an ideal choice to fast throughout the day without eating anything. The fasting starts at sunrise and ends with the glimpse of the moon.